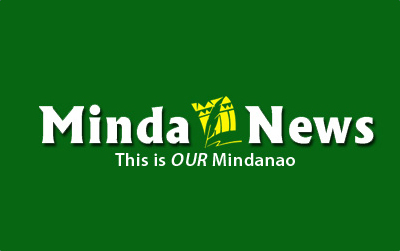 CAGAYAN DE ORO CITY (MindaNews / 5 March) – Most people think governing is a task performed by people in power only, that it only concerns public officials, while the rest of the people (who are not in office) are mere beneficiaries of government goods or objects of public services. This thinking needs to be changed, especially at the primary level of government, in the barangay, where citizen participation or non-participation has a direct effect on the quality and reach of governance. The barangay government is the closest, most intimate, unit of public administration. Its every policy or act impacts directly upon the lives and circumstances of its constituents. If its constituents don’t feel its impact one way or another, it can only mean two things: 1) they’re not involved in its governing process, in which they have a role and a right to participate; or 2) their officials are doing the governing all by themselves—without benefit of the people’s participation, feedback during consultations, or express approval. In either case, there’s a violation, and it’s bad governance. If the people have no part in preparing its development plans and programs, the barangay cannot be said to have “a government of the people and by the people.” It is not a true democracy. They must play a role in identifying/defining its problems, in prioritizing what measures are to be taken, in formulating the necessary programs and projects, and in implementing them. If the officials presume to govern by themselves, they belittle an essential aspect of autonomy or self-governance: the people’s participation. They subject the community to bad governance, prevent direct democracy from operating at the base of the Republic, and weaken its foundation. Bad governance causes injustice and deprives everyone from the benefits of prosperity and equality, especially the poor and underprivileged who in their impoverished condition are the least able to cope with corruption and abuse. Unfortunately, such is the case in most of our barangays, of which there are a total of 42,000-plus. Either the people in them are not involved in the tasks of governing, or the officials are doing all the deciding and doing—and grabbing all the credit and benefits from doing so. As a result, no one can claim that the Big Philippine Republic draws strength from its small republics (barangays) where the sovereign people reside. We are more than 100 million Filipinos already, all residing in 42,000-plus barangays—each one supposedly the home of People Power. But like the energy crisis, People Power is severely limited, as most of it is arrogated by officials elected as public servants but who act like they are the Boss. Hence, instead of becoming the bastion of freedom and democracy, the barangay has become the soft underbelly of our Republic, prone to graft and corruption, badly governed by predatory politicos and their greedy cronies. The scale of corruption spawned by the traditional politicians, or trapos, who make our barangays a nesting place for their petty dynasties, has grown to such a magnitude that a culture of corruption and impunity now suffuses local governments and the grassroots including the youth of the sangguniang kabataan. Our Republic seems like a collection of tiny principalities called barangays that are headed by presumptuous oligarchs who think they know best, who figure that whatever they do is good enough for everyone, and that therefore people should take their acts and decisions at face value without benefit of public comment or approval. This hardly defines a society of citizens in whom state sovereignty resides and from whom all government authority emanates from the people. If we’re serious about good governance and democracy, then as a polity (government and citizenry) we need to change not only our attitude about the task of governing but also our behavior as constituents: in attitude—attentive and assertive; in behavior—active and engaged. Good governance requires citizen attention and involvement. It can’t all be the acts and decisions of grandstanding officials; that’s an oligarchy. The people must be in on the act. It’s when people do their part in the governing process that they exemplify a government of the people, by the people, and for the people—and quite literally at that. That’s the point when the instrumentalities and processes prescribed by law are activated: people assisted by their public servants managing the arrangements for harmonious living, coping with challenges, confronting problems, advancing the nation’s interests in small but sure steps right in their own community. And all these are made possible through the proper workings of the Barangay Assembly, the Barangay Development Council, and the dozen or so committees/units mandated for the grassroots community (which are rarely activated or functioning). Thus do the little things people do in the barangay make up the big things in the nation.